Our Whanganui Accommodation is Your Best Choice for a 4 star plus experience, being excellent and offering a wide range of facilities and services. 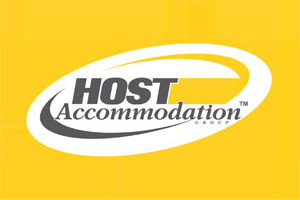 We are proud to be a member of the Host Accommodation Group, a network of Motels conveniently located throughout New Zealand. Earn Host Reward Dollars every time you stay. Our conference / meeting is ideal for anyone needing to organise a workshop or small group event. Ring us direct to organise your gathering. We can provide conference and accommodation packages. 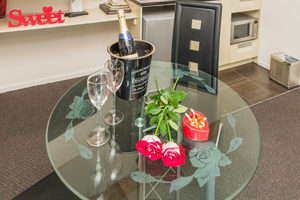 Book a night in our Honeymoon suite, or provide accommodation for your wedding guests. We have a full range of 4+ star accommodation options. Welcome to 151 On London - Wanganui! Michael and Prue would like to welcome you to accommodation 151 On London, Wanganui. Our architecturally designed motel style accommodation complex consists of 26 air conditioned rooms and a conference/function venue. Winners of the 2011 and 2012 Best Nationwide Motel – People’s Choice Awards. 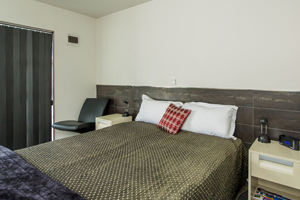 151 on London Motel, Wanganui is proud to be a member of the Host Accommodation Group, a network of Motel and accommodation properties conveniently located throughout New Zealand. Join at any Host Property or online at the below web address and r start earning Reward Dollars per stay, its that easy. We are located 500 metres from Wanganui Collegiate School , Victoria Park cricket venue, Springvale Park / Stadium, Splash Centre indoor swimming pool with Lazy River & Hydro Slides and Jubilee Stadium. This makes 151 on London the perfect place to relax and enjoy luxurious rooms and yet have all the facilities and venues all on your doorstep. Only the best of facilities are provided whether you are a business/corporate traveller, leisure, tourist, sports group or family holiday maker, all within easy walking distance to local shopping, supermarkets, bars, cafes, fastfood outlets and restaurants. We are here to make your stay a memorable experience. The decor and tasteful artworks displayed in our motel suite rooms all achieve a luxuriant and comfortable ambiance.